Caption: Tetraodontidae is a family of primarily marine and estuarine fish of the Tetraodontiformes order. 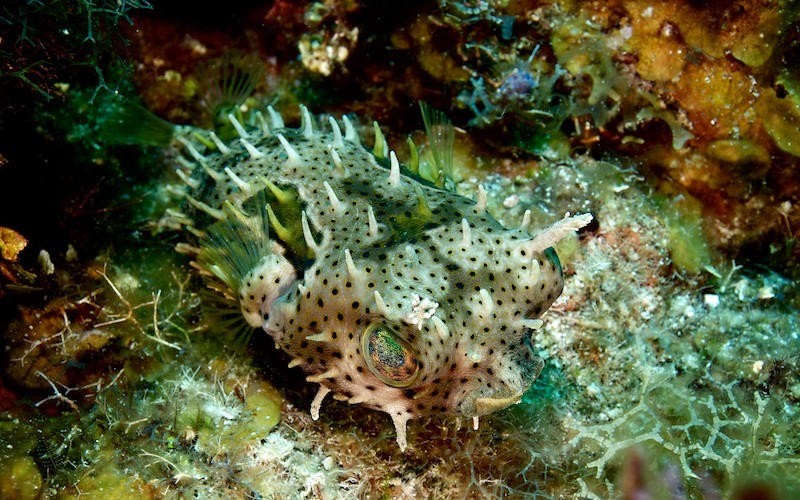 The family includes many familiar species, which are variously called pufferfish, puffers, balloonfish, blowfish, bubblefish, globefish, swellfish, toadfish, toadies, honey toads, sugar toads, and sea squab.They are morphologically similar to the closely related porcupinefish, which have large external spines (unlike the thinner, hidden spines of Tetraodontidae, which are only visible when the fish has puffed up). The scientific name refers to the four large teeth, fused into an upper and lower plate, which are used for crushing the shells of crustaceans and mollusks, their natural prey.